If you're into the quilted look, you're going to love this little layer that could. Cozy up in its soft fleece fabric, but don't overheat with a semi-cropped silhouette. Mixed media quilting supplies endless seasonal style. 80% of members who purchased the Anya L/S recommend it. I like the design of this top but unfortunately it fits me strangely. Just a little too narrow across the shoulders. Also the fabric feels somewhat stiff and scratchy. Too bad because I really liked the way it looked on the model. 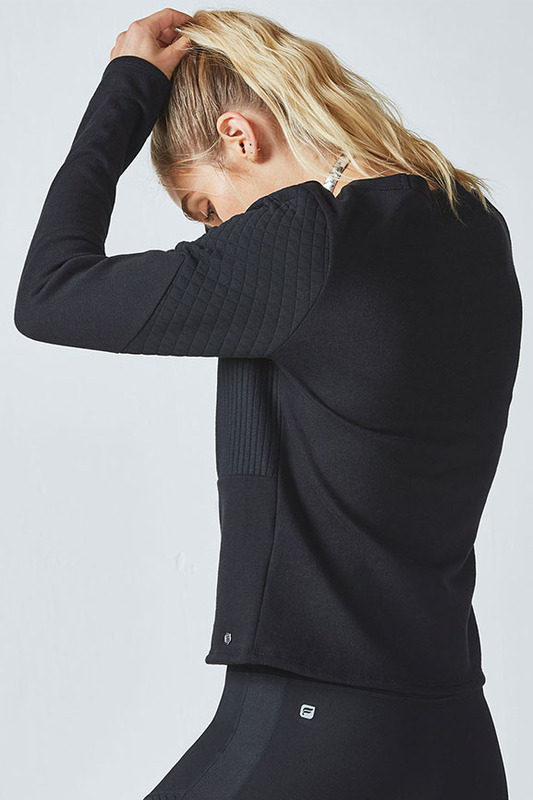 More like a sweatshirt than a top, but great details in the stitching. While the pattern is nice and better than your basic sweatshirt, the material is semi stiff and not the softest. I am keeping it but I like to wear something under it for comfort. Is very cute, great for the gym or to stay at home. Cute black sweater. Love the detail design and it is on the shorter side.